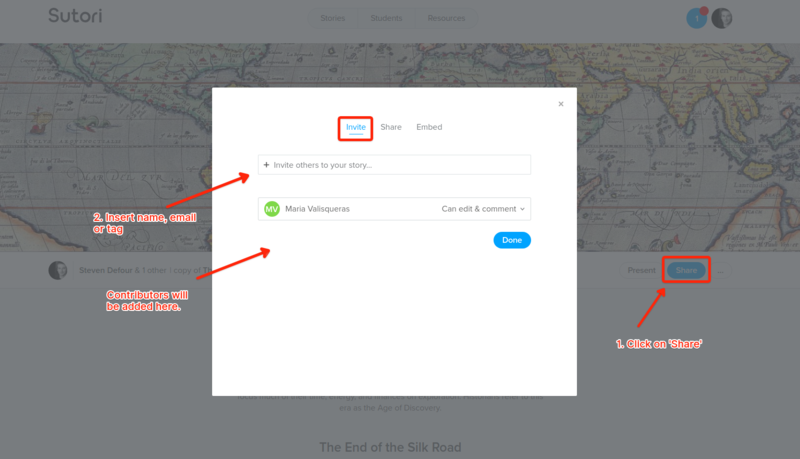 How do students submit their stories? 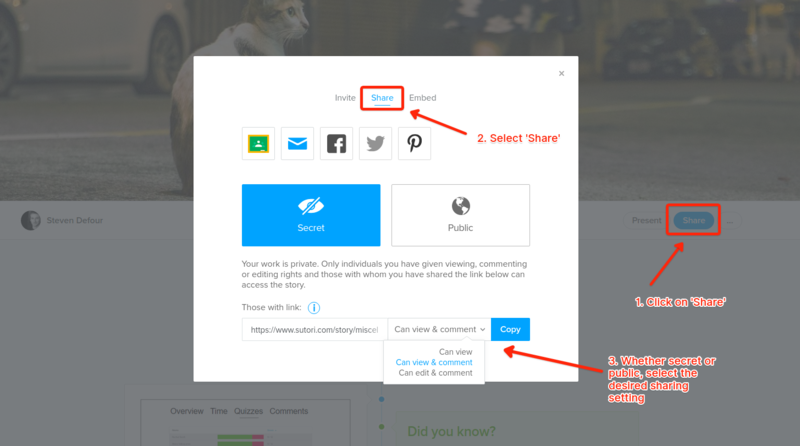 There are multiple ways students can submit their stories. 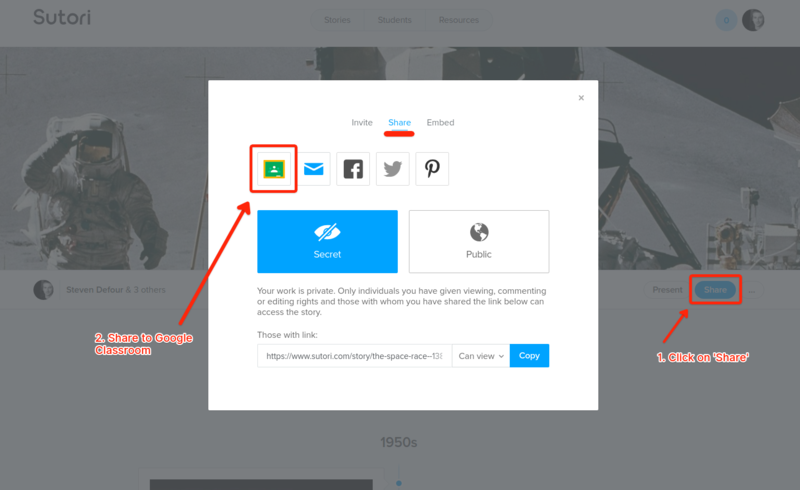 Students must first open up their stories and click on &apos;Share&apos; under the banner image to the right. Please note that a teacher can automatically access all of her/his students work.